Antoni Gaudí is considered one of the most universal figures of Catalan culture and of modern architecture. Specifically, his contribution to architecture entailed a break with the established patterns as manifested in both the forms and the construction and structural systems of his buildings, basing his work on his exceptional creativity and unique unprecedented methodology. 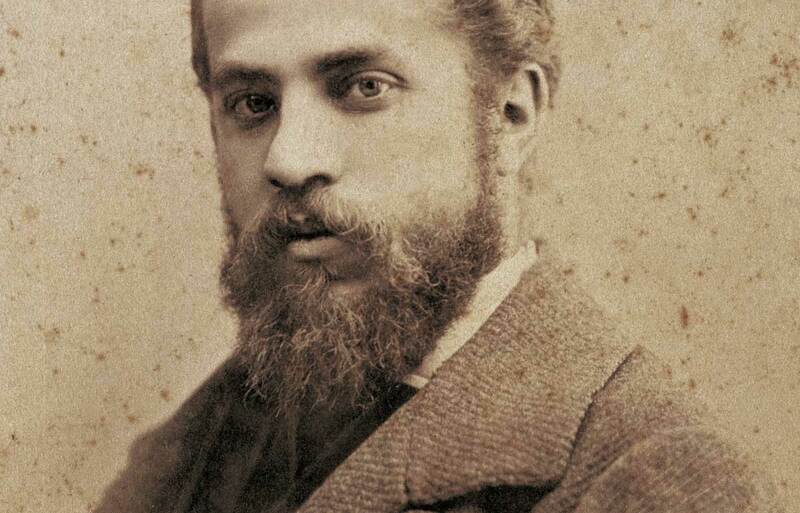 Born in Reus in 1852, Antoni Gaudí studied at the Barcelona School of Architecture, graduating in 1878. Gaudí’s training as an architect included a thorough knowledge of the various crafts and materials involved in construction. This led him to constantly pursue the total work of art in his creative activity, concerning himself with both the construction aspects of his buildings and with each and every one of their component elements, including decorative details and furniture. While his work was based on the precepts of Modernisme, its innovative and experimental character carried it beyond the scope of the movement’s formal and aesthetic postulates. Over the course of his prolific career, Gaudí occupied himself with the construction of religious buildings, residential developments and private homes, as well as a variety of projects which were never carried out or which were finished by his assistants. In all of these projects, Gaudí showed a great interest in nature and in geometry and took advantage of technical innovations and of his mastery of different crafts to create a highly personal architecture of great beauty, rationality and modernity.